6 + 9 = Required Please enter the correct value. In mid-April, a Reuters report citing unnamed sources claimed Alibaba Group Holding Ltd. would file for its IPO as early as Monday, April 21. More than a week later however, investors are still waiting for the company to file its prospectus. Although the filing was delayed, the Alibaba IPO date will still likely take place before the end of 2014. The only official statement from the company came in March, when Alibaba officials stated that they would begin the process of filing for an IPO in the United States. Other than that, the company has remained silent on the issue. When the prospectus is finally filed, investors will get a glimpse into the financials of Alibaba, which is already expected to be the biggest U.S. IPO since Facebook Inc.'s (Nasdaq: FB) $16 billion offering in 2012. Alibaba IPO Update No. 1: Those who have been closely following the upcoming IPO are aware that Yahoo! Inc. (Nasdaq: YHOO) owns a 24% stake in the Chinese e-commerce company. Through the IPO, YHOO plans to sell approximately half of its share in Alibaba, which could fetch as much as $17 billion. Because of that, seemingly every time optimistic news is released regarding Alibaba, YHOO stock gets a lift. Investors can expect that trend to continue up until the IPO. But YHOO isn't the only stock getting a lift from Alibaba… go here for more details. Alibaba IPO Update No. 2: Alibaba is on a multibillion-dollar shopping spree, having spent $3.5 billion on its last seven acquisitions. On Monday, the company dropped $1.22 billion on the Chinese online video company Youku Tudou Inc. The acquisition boosts Alibaba's entertainment options and brings the company further into the mobile industry. See what type of impact this spending spree is having on the IPO. 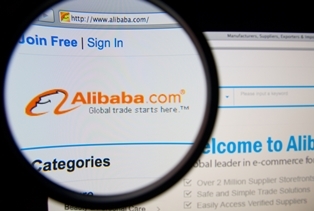 Have you been following the Alibaba IPO? Join the conversation on Twitter @moneymorning using #Alibaba.